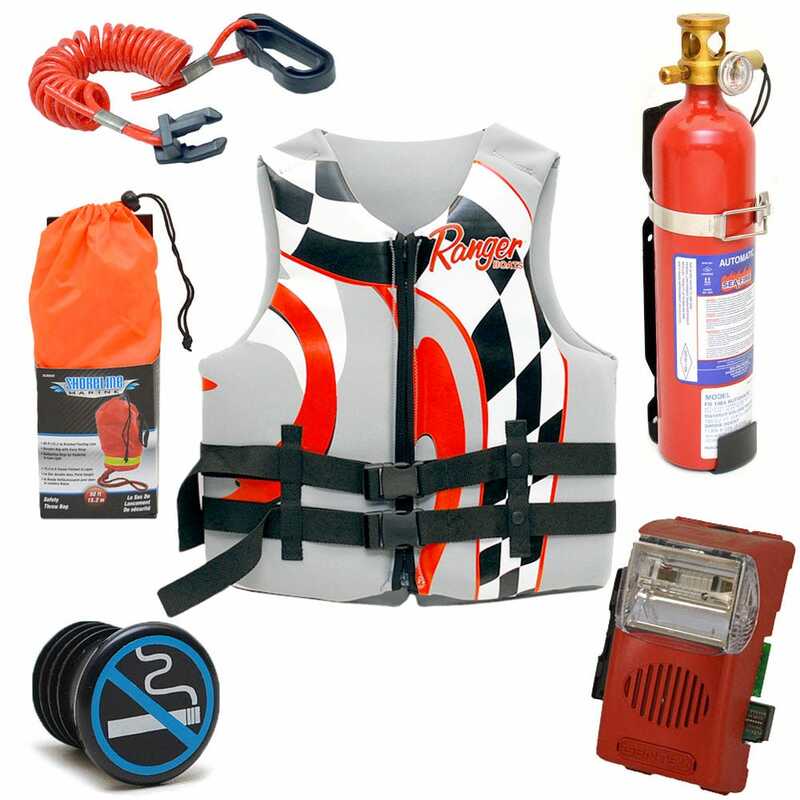 Stay safe on the water with safety equipment from Great Lakes Skipper's amazing inventory of discount boat supplies. We hope you'll never need to use boat fire extinguishers or signal flares, but it's best to have them just in case. Please make sure you have enough personal flotation devices, ring buoys, or life jackets for your boat's passengers. For a larger boat or yacht, consider a fire suppression system; we carry parts for those, too. Check out our inventory of boat whistles, key buoys, boat engine kill switches, boat paddles, boat warning buzzers, and other safety equipment parts and supplies. Be prepared; be safe.